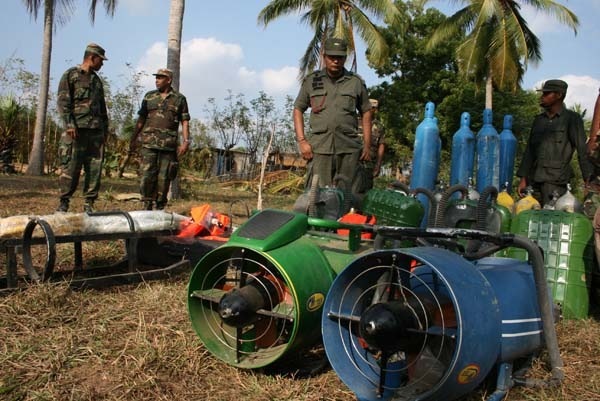 Sri Lanka Army on February 19, captured underwater scooters, diving kits, oxygen cylinders and many other diving equipments used by terrorists from Ampalavanpokkanai town, west of Puthukudiyirippu. Here are some photographs released by Ministry of Defence, Sri Lanka. 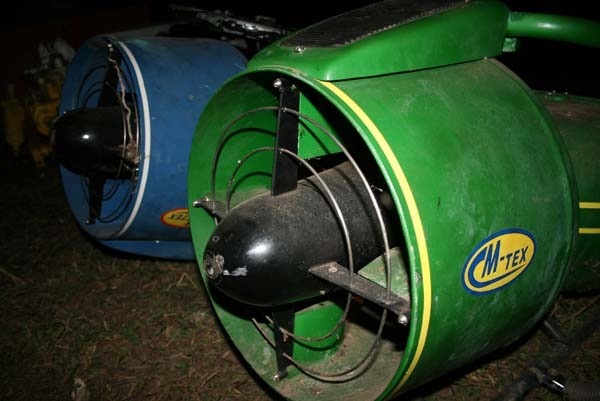 For more photographs of underwater scooters, log on to MOD, Sri Lanka. 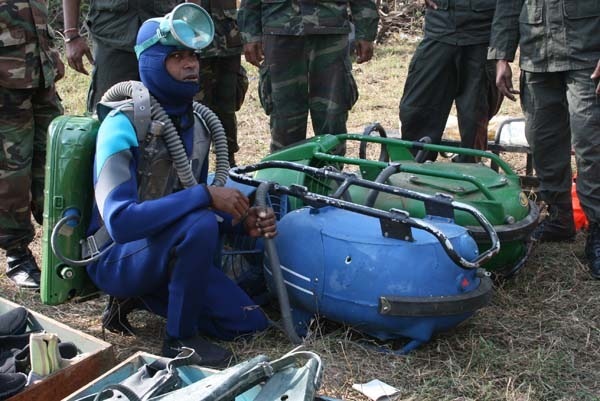 Also view here an interesting video clip of underwater scooters captured by Sri Lanka Army.